It’s the duty of parents to try and ensure that their kids have a good upbringing and to never force the kids to have lauki ki sabzi. While the latter is non-negotiable, parents are also seen doing their best to impart values and ideas that for generations have been held dear, like patriarchy, sexism, and religious intolerance among others. For instance, parents, once they’re done dropping their own parents at shelter homes, also make it a point to teach kids the idea of respecting elders. One such idea is to choose your words carefully. Great emphasis is laid on this since words are said to be very powerful. But people, especially politicians, interpret it in different ways. Manmohan Singh is too careful, so much so that he fails to choose words. Rahul Gandhi is as careful as a Blue Line driver. Modi thinks while he speaks, which is why ‘Bhaiyon aur Behenon’ takes more time than what Kejriwal needs to manoeuvre a U-turn. Mulayam Singh’s approach, however, is not known, since the number of people who can possibly make out what he is saying can be counted using the fingers of your hands after nine of them have been bitten off by Somnath Bharti’s dog. Another perspective is that your words could be used against you in the future, which is especially true of Twitter where there exist a bunch of people who dig up old tweets to expose your hypocrisy. Seriously, don’t they have anything better to do, like sucking up to the Congress party? 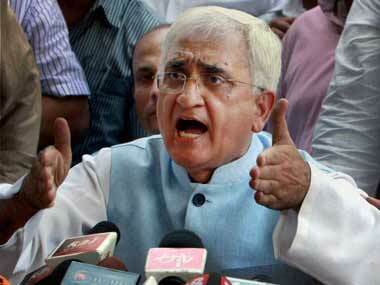 Salman Khurshid is a gallant person. It takes balls to come out in public just a month after your trust has been called a dis-trust and engage in petty mud-slinging, like calling Arvind Kejriwal a mosquito who causes minor irritation especially when you’re busy calculating how much money can disappear without anyone noticing, which is stupid because why would you compare money to Rahul Gandhi? Arvind Kejriwal had retorted back, saying “I am a dengue mosquito; bite will trouble BJP, Congress”. It’s not clear what the mosquitoes felt about such slander back in 2012. But what goes around comes around. The recent spike in the number of reported cases of Dengue have cleared the water a bit, which also serves as a happy breeding ground for them. AAP followers feel tweeters don’t want to let Arvind Kejriwal grow, which is why the Dengue statement was dug up recently. Tweeters deny this, and are saying that they want Kejriwal to grow (a pair) and face the ground realities. There were reports about lack of preparedness on the government’s part in tackling Dengue, since most government hospitals currently have at least two patients sharing a single bed. Delhi Health minister says that is a good sign as it means no one is being denied admission. That argument is so twisted it looks more like Baba Ramdev doing his morning asanas, picking his nose with his toes. AAP had spent Rs 536 crores on ads eulogizing Arvind Kejriwal. But most are of the view that it clearly could’ve made better use of those funds in the light of hospitals in dire need of upgradation. I’m not saying airing ads are wrong, but they could’ve done better than having the protagonist, who’s an AAP supporter, cook lauki during the course of the ad. That’s pure wastage of money. You can show AAP cracking down on corruption, reasonable electricity bills, but Delhi autos that have functional meters? There needs to be some kind of realism in such ads which are supposed to be based on facts, such as Lipika Mitra is acting on the behest of BJP. Every time you show a Delhi auto driver who uses a functional meter, a passenger is rejected by three in Mumbai. Arvind Kejriwal has accused the centre of not cooperating in tackling Dengue in the capital, which is a ballsy thing to say because it seems the Centre had issued as many as 26 warnings to Delhi, which were ignored as if they weren’t warnings but white crayons. Arvind Kejriwal says the warnings were about him coming to power and not dengue. Centre, citing Arvind Kejriwal , says it’s the same thing. Further comments from Kejriwal are awaited, just as the Lokpal is.